In 1989, as the sneaker industry skyrocketed through the stratosphere due to the popularity of Air Jordans, New York Knicks center Patrick Ewing was getting paid nearly $1 million a year by adidas. Despite the very handsome salary, P.E. left the brand. 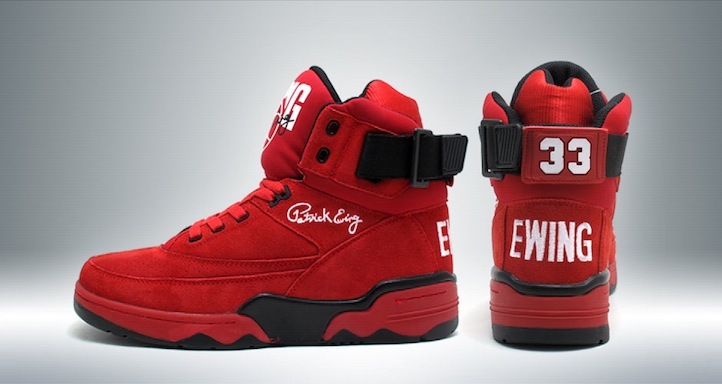 Under the guidance of his agent, David Falk, Ewing became a pioneer of sorts, launching the first signature sneaker brand that was majority-owned by a professional athlete. By 1990, the company was grossing approximately $100 million and as Ewing’s popularity with the Knicks soared, so did his company. 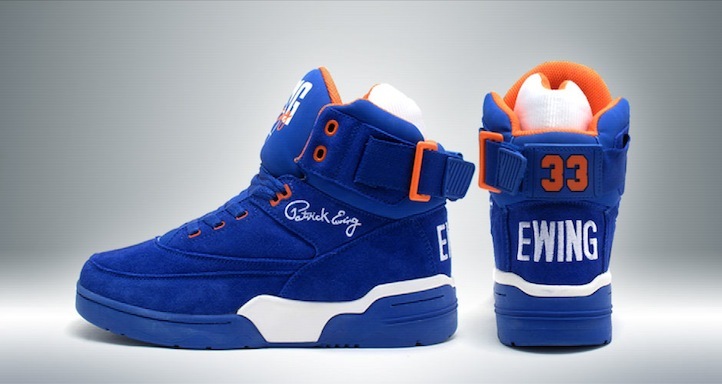 Ewing Athletics released more than 20 models through 1996, before the company faced internal challenges that forced Ewing and his partners to shut down. Last month, the former Knicks’ player and NBA Hall of Famer relaunched the cult-classic 33 Hi Retro shoe model to 33 stores nationwide. On the heels of the retro sneaker hitting the European market for the holiday season, Life +Times caught up with No. 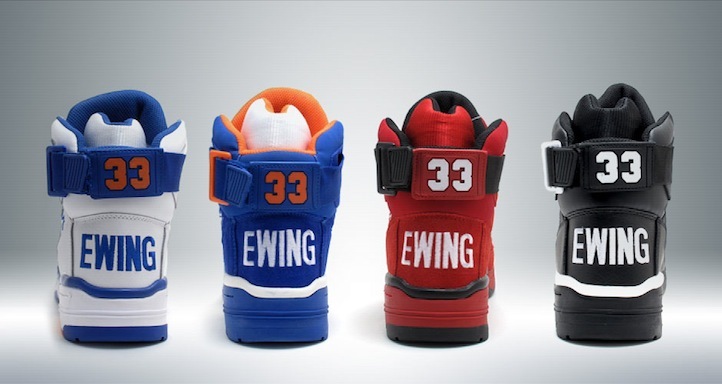 33 himself, along with Falk and David Goldberg, the newly anointed President of Ewing Athletics, to discuss the brand’s reintroduction, the ‘80s original flavors and Knicks versus Nets. Life + Times: The popularity of retro sneakers is perhaps at an all-time high. 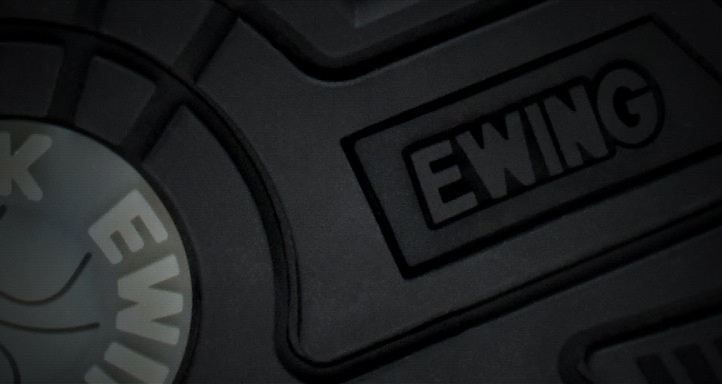 How excited are you to reintroduce Ewing Athletics to the market place? Patrick Ewing: It’s great! I can’t wait for it to hit the market. And hopefully we’ll do great. With the way every retro-shoe is coming out, being rereleased and doing well…I want to get my niche. L+T: It’s been a long time coming. How were you able to get the brand up and running again? Ewing: Well, it took them a while to convince me to bring it back. 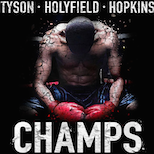 They finally were able to convince me and I teamed up with a group of people [David Goldberg and Mike Packer] in New York, and we’re going to make it happen. They’ve been waiting a long time to do it– and it’s finally here! David Goldberg: It was an opportunity that was kind of presented to me three years ago. It’s been a long time trying to convince Patrick and David Falk that it was the right time and we were the right people to do it with. As a kid, I grew up in New York. I was a huge Knicks fan and this was one of my favorite brands. I’ve been a huge sneakerhead since the ‘80s. I actually brought Patrick all of the old shoes to see when we were first met and he got a kick out of it, because he doesn’t have a single pair of the old sneakers. I don’t know what he did with it, but he gets a kick out of seeing them each time. It was a once-and-a-lifetime-type thing. L+T: Is the plan to re-release all 20 models of the sneaker? PE: We’re not going to mass-produce and try to sell as many pairs as we can to start. We know that if we’re patient, we’ll do well for years to come. David Falk: Once we gauge the demand and interest, then we will evaluate whether we should introduce new products. I think that that’s certainly an option, but we want to walk, before we run. L+T: Mr. Falk, when did you decide to become involved in the reintroduction of the shoe? Falk: Patrick and I have been friends for 27 years and he received a lot of expression of interest from people who asked why wouldn’t he just bring the brand back, and so have I. But like anything, when you get to the level of someone like Patrick, you have to do your due diligence. As you know, there’s a very strong movement for retro products and most of them go pretty fast. Brands do them for one season, and then have a blow out. That’s something that doesn’t interest me. I thought it only made sense to do it if it had some legs, and we reintroduce the brand and have it grow. L+T: What was the reason for the company folding in the early ‘90s? Falk: Most people don’t realize that Ewing Athletics was phenomenally successful in the early ’90s. If you compare ’90s dollars with today’s dollars, it was probably more successful than Kobe or LeBron’s line or almost anybody else, except Michael [Jordan], done on an independent basis. At the height of its popularity, there were some internal problems within the company, entrenched and things, and it ended, which was disappointing. So, I’ve been interviewing groups who wanted to bring it back for the past five years. Essentially, that’s how long this has been going on. I’ve had hundreds of meetings, phone calls and submissions. And picked a group, led by Dave Goldberg, and we feel they have a really interesting marketing plan and they’re going to try and manage the growth so it doesn’t create a supernova and just go away overnight. Only time well tell. Patrick is a very intelligent man. He had a lot of questions and we took him to four or five meetings before he gave his approval. And the initial response has been phenomenal. We sold in 33 stores and it sold out instantaneously. We’re releasing in Europe, and my hope is that we can recreate the brand and have it last over the next five to ten years or longer. L+T: How do you intend on marketing to the kids, who weren’t born while Patrick was playing? Falk: I think that a great product…if you look at basketball as an example and one of the greatest — for many, many years, pre-Jordan — standard-shoe was the Chuck Taylor Converse. If you asked the average person, including myself, who bought it, who Chuck Taylor is, no one has a clue. I mean, most people don’t know who Ralph Lauren is. They just know it’s a great brand, a high-quality brand, [like] Calvin Klein. You can go through a whole host of designers and most people have no idea who the person is. I tease Michael from time to time that there will come a time down the road that a kid will buy a pair of Air Jordans and he’ll have no idea that Michael played basketball. 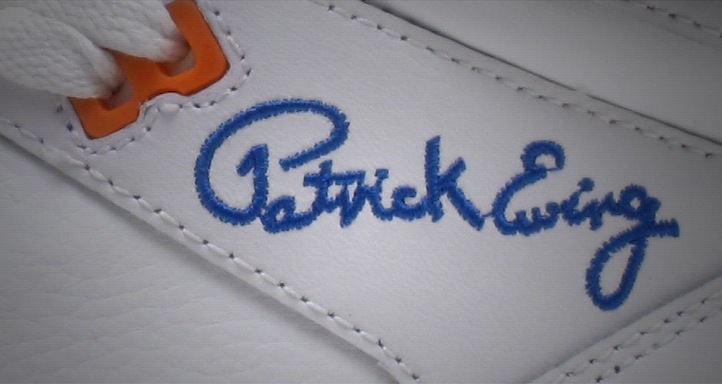 And so, I think the connection with Patrick, as a player, is really less important than the fact that this is a really well-designed, good-looking shoe, with a tremendous underground following in New York. If people know that Patrick played, and that he was a great player, I think that’s a bonus. But I don’t think it’s necessary to make the product launch successful. Goldberg: Over the years, there was a cult following surrounding the sneaker over the Internet. Fans were trying to find the old models and any information on it. There was almost no information on it that you could find. It sort of became like an urban legend with the Ewings and would it ever coming back. 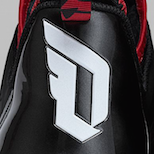 With the relaunch, everything we’re doing is original — we’re not trying to create patent leather, glow-in-the-dark shoes. We’re sticking to the originals that were out back then. We are very detailed-oriented to make sure they’re authentic to the originals. L+T: How important was it to relaunch the sneaker in New York? Falk: It was very important. Patrick started in New York. He lives in New York. I think that the New York fans are the most sophisticated basketball fans in the world. It has been the whole epicenter of his basketball career. It’s also the fashion capital of America, if not the world. Some may argue that Paris is the fashion capital, but in America, it’s New York. That was strategic. Goldberg: We’ve been very happy with the response. It sold out in 33 stores. When we started, we weren’t sure how the demand would be, because the brand had been out of the market for 20 years, but the demand was a little higher than we anticipated. The Knicks, in general, are popular right now and since it’s a retro shoe, the timing worked out well. All stores sold out on the initial release day on September 29th, for the white and the red models of the 33 Hi Retro. The next release date of the black and blue colorway is set for November 10th. L+T: Mr. Falk, you’ve been around Patrick since his college days. What was that initial meeting with him like? Falk: It’s interesting. I was 34-years-old and we signed Michael Jordan the year before. The relationship with the University of North Carolina — I wrote about this in my book — my boss, Donald Dell, at the time had a very close relationship with the coaching staff and I would say I was not the reason that Michael signed with us, even though I managed his entire career basically by myself. My boss signed him to his first contract. I did everything else. 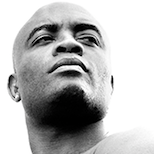 When I met Patrick, he was the first real superstar that I signed on my own. It was a breakthrough for me, if you will. I think in many ways, Patrick was better known than Michael when he first came out of college. He went to three Final Fours and the two of them, ironically, were very close friends in college, and so it was tremendous. It was a tremendous accomplishment for me, and Patrick is the most polite, gracious person I’ve ever met and we’ve had a great friendship for over 27 years. I’m sure it’s going to last for another 27 years. Our relationship today is way beyond being an agent to client. He’s like part of my family. 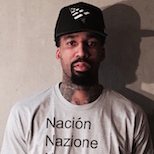 I represent his son, Patrick Jr., who’s playing in Germany. And because it was such a major accomplishment for me, I was really determined to break ground. We got Patrick when he was a rookie and he signed the highest deal in the history of the NBA. Not the highest rookie deal — the highest contract. He signed for 50 percent more money than any player ever made in the history of the league, all before he dribbled a ball. That was my way of saying thanks to him for the confidence he had in hiring me as a young person, even though I had ten years of experience before he came along, and I had represented Jordan, James Worthy, Phil Ford, some great players. But I felt it was a tremendous reward that he and coach John Thompson had the confidence that I could do the job. I’ve had the chance not only to work with great players, but also great people. I’ve built life-long friendships. I turned 60 a couple years ago and I had a huge blow out birthday party and everybody came back. It was rewarding for me. I lived my own dream. I’ve said this many times: there aren’t enough words to thank people like Patrick, like Michael, like Coach Thompson, for their friendship and support over a very long period of time and sticking with me. It means the world to me and I’ve been blessed with loyalty. It’s been a dream. 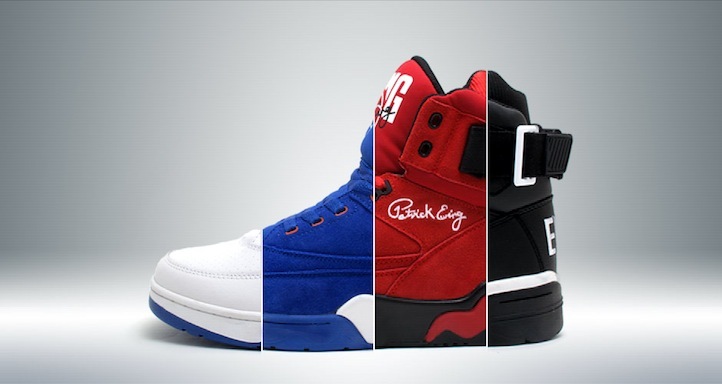 L+T: Ewing Athletics was the first signature sneaker brand entirely owned by an athlete. Patrick was signed to adidas prior to that. Why the split from a global brand? Falk: What happened was, in the ‘80s, the company I was working for had a very close relationship with the head of adidas, Horst Dassler. He was the son of the founder of adidas, Adi Dassler. Because I signed Michael to Nike, I felt that Patrick was just too big to sign with the same company. I would say in hindsight that that was probably a mistake. I think at that time, that was what my thinking was. When Horst died, adidas in America was in disarray and they just didn’t feel that they could manage a contract of that size. It was enormous. It was over a million dollars a year. And so they basically bought themselves out of the contract. The bad news was he needed to have a new affiliation. The good news was they hadn’t really marketed him very significantly in the first couple of years. It wasn’t like Jordan when they were calling Nike, Nike. It wasn’t a household brand like that. So I called up a gentleman named Roberto Muller, who had founded PONY and I asked him, ‘Can you make me a shoe, that’s close to Patrick’s adidas shoe, as possible, with no visible markings, no logos, no color, nothing, just pure white?’ And he said, ‘David, all the shoes are made in the same factory in Taiwan, Pou Chen. I can do that in five minutes. Why do you want to do that?’ And I said, ‘Cause I want to create a level of mystery. What’s Patrick Ewing wearing? What is it?’ He said, ‘God, that’s the best idea you’ve had ever had!’ I said, ‘No, it isn’t [laughs], it’s not even close.’ So he went ahead and made the shoe and we had no deal. He wasn’t getting paid. I just wanted Patrick to have a supply of quality shoes and to try to tease the fans in New York, like, ‘What’s Patrick wearing?’ And it worked. There was a tremendous underground swell and people wanted to know what he was wearing. Towards the end of the season, Roberto came to me and said, ‘David, this is great. Why don’t we go ahead and start selling these things?’ So we got together and formed a company called Ewing Athletics and they did a great job building up a following. It was selling quite well before it ran into some internal corporate problems, which is disappointing to me. L+T: What was most disappointing about the brand dissolving? Falk: It was really innovative. I read the stuff of today like Dwayne Wade –- who I’m a great fan of -– just signed with Li-Ning and how groundbreaking it is. We sat down with them a few years ago for Evan Turner. There are very few things that are breakthroughs anymore, but I think a player having his own company, I thought that it was a breakthrough thing in the late ‘80s. That was almost over 25-30 years ago. So I always had this certain kind of disappointment that we couldn’t make it last, like how Jordan has over the years. That’s what you’re looking for in this business -– longevity. So now, we’re bringing it back and I’m very excited. I have my fingers crossed and I hope that it takes hold and lasts. L+T: At that point when internal issues jeopardized the brand, was there a moment that you thought you could partner with another brand to save it? Falk: No. The whole essence of the company was that it was independent. It was the soul of the company, if you will. We probably could have done that, but it was really a mess with the internal problems. It would have been possible, but difficult. L+T: How involved is Patrick now? Goldberg: He’s involved the entire way. From conception to when we make samples, but everything must get his approval before we move ahead. Falk: He’s totally involved. Obviously, my job is to do all the diligence and bring Patrick all of the things after they’ve been distilled and analyzed, but he makes all of the decisions. He’s very excited about it. Obviously, it has his name on it and he owns a very significant portion of the company, so it’s not an endorsement, where we pay someone a million dollars and give them a 3 percent royalty. So, he’s invested in making it work and whether he’s doing interviews or making an appearance, he’s not doing it because he’s on contract. He’s doing it because he owns it. L+T: Was there any ideas for expanding towards apparel? Falk: We’re going to do apparel, for sure. We’re going to start doing what we did in the old days [laughs] with a certain level of apparel. As I said before, we’ll gauge how the market accepts us and will make a decision down the road. L+T: Will Patrick Ewing, Jr. be hooping in the shoe overseas? Falk: That’s the plan. He’s playing in Germany and we have a distributor out there. We definitely hope that he can wear the shoe. 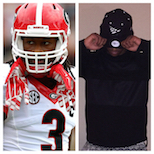 L+T: Further down the road, do you foresee the brand endorsing other athletes? Falk: Yes, I think that’s certainly a possibility. Those are all things that are on a bucket list, on a wish list. But our first hope is that the brand takes hold and that we get to a level that makes sense to hire another young athlete to wear the shoe. It would be fun to get somebody from Georgetown. L+T: Mr. Falk, what do you think about New York’s new subway series, between the Knicks and the Brooklyn Nets? Falk: I think it’s great. There was a time in the late ‘80s that I was working with a friend of mine to try and purchase the Nets. I always thought that the Nets never really had a strong identity. I go way back to when they started in Long Island — they were the Long Island Nets to the New York Nets to the New Jersey Nets, and they sort of had an identity conflict, if you will. And since Mikhail Prokhorov -– I’ve never met him, but I would like to -– has bought the team and moved them to Brooklyn, it’s tremendous. As we all know, when you cross the bridge, Brooklyn is the fourth largest city in America and it’s so close to Manhattan. I think it will be great for the game. For a full list of Ewing Athletics stockists, click here.